In his recent decision in the Federal District Court for the Eastern District of Pennsylvania case of Harvey v. Liberty Mut. Ins. Group, NO. 130-CV-04693 (E.D. Pa. March 26, 2014 Joyner, J. ), Judge J. Curtis Joyner ruled that an injured party was barred by the doctrine of collateral estoppel from proceeding on a UIM claim after having agreed to a high/low arbitration on the third party side with a high parameter below the third party liability limits and where the arbitration award was entered below that high parameter. The court ruled in this fashion even though there was an agreement between the parties in the third party liability case that the binding arbitration was not intended to preclude any subsequent proceedings. According to the Opinion, the liability limits on the third party side were $2.25 million dollars. The high parameter agreed between the parties for the binding arbitration was $1.35 million. The arbitration award entered was for $680,000.00. The Harvey Court read the binding arbitration agreement as only pertaining to the award being limited by the high parameter. 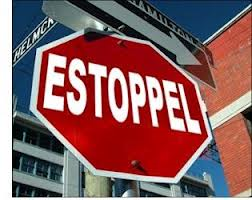 The third party proceedings and the award entered was found to be still subject to the collateral estoppel doctrine when the award entered was below the high. Judge Joyner noted that, to avoid the effects of the collateral estoppel doctrine, the parties could have easily written into the binding high/low agreement a proviso to the effect that "the binding high figure is not intended to have any preclusive effect." The court's ultimate rationale was that since the insured's recovery was finally determined in a binding prior proceeding not to exceed the liability insurance policy limits held by the third party, the UIM claim was collaterally estopped. Judge Joyner's decision in Harvey can be viewed HERE and the accompanying Order HERE. To review a Tort Talk post on a state court of common pleas decision along the same lines by Judge Mark Bernstein out of Philadelphia County holding that an injured party was collaterally estopped from proceeding on a UIM claim after the entry of an award less than the liability limits in a third party binding high/low arbitration click HERE.